BOGE places several compressors, dryers and filters or entire compressed air lines together in containers, based on customer specifications. Compressed air is in demand. However, where standard solutions no longer meet specific customer requirements, flexibility is called for: The compressed air specialist BOGE therefore supplies tailor-made system solutions for plant construction. The innovation-driven family company in Bielefeld, Germany, puts together several compressors or entire compressed air lines for individual customer requirements in containers and basic frame systems. There is no need for users to undertake complicated planning and tedious modifications on-site. 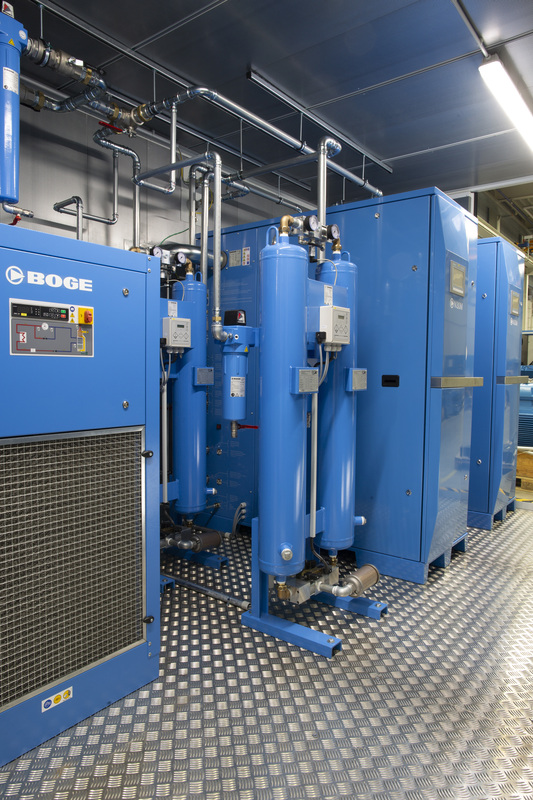 BOGE combines several compressors, dryers and filters, or assembles entire compressed air lines according to customer requirements, in containers or basic frame systems: Therefore, the user does not have to deal with complicated spatial planning when building a compressed air system from several individual components. Containers are also suitable for outdoor areas – where they protect the plant from unauthorised access and extreme weather conditions, such as temperatures well below freezing. Thanks to special paint, the container shell offers protection from corrosion in aggressive environments if required. Valuable space is thereby freed up in interior areas and production halls. Users obtain everything from one provider with BOGE – from planning up to installation of the container ready for operation. 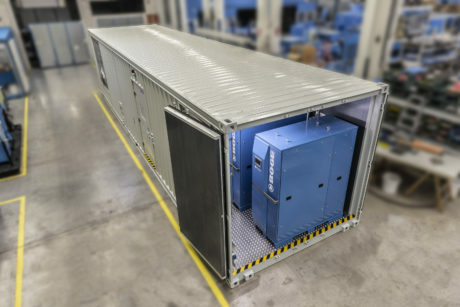 BOGE combined two screw compressors, cold and adsorption dryers for each, and two nitrogen membrane generators in a 40-foot special container for the operator of a natural gas compressor station. Recently, BOGE successfully handled one such major order for the operator of a natural gas compressor station in eastern Europe. 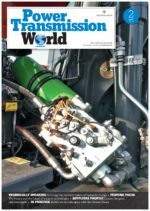 Two screw compressors, each with two cold and adsorption dryers and two nitrogen membrane generators have been re placed in the 40-foot special container – including cabling and pipework in keeping with the requirements. The overall system provides nitrogen and compressed air at its deployment location. The user deploys the nitrogen as rinsing gas to safely clean containers for combustible liquids. Compressed air is therefore used to control valves. It took only six months from the order being awarded to BOGE and delivery to eastern Europe. Sebastian Witthus, project manager for plant construction at BOGE, knows the requirements of the target sectors: “For the oil and gas industry in particular, there are a plethora of specifications which our customers expect us to adhere to. Flexibility is therefore our topmost priority: We meet the special requirements of customers, even if we sometimes have to plan and build our compressors from scratch”, says Witthus. It may be the case, for example, that a traditional compressor will have to be fitted with a different motor. Some customers require special stainless steel pipework or cabling with flame-resistant cables in the container, for instance, or they specify the use of components from a particular manufacturer. Project details may still change during the execution. Then BOGE will re-plan the position of electrical connections so that the entire station can ultimately be installed just as the customer requires it.